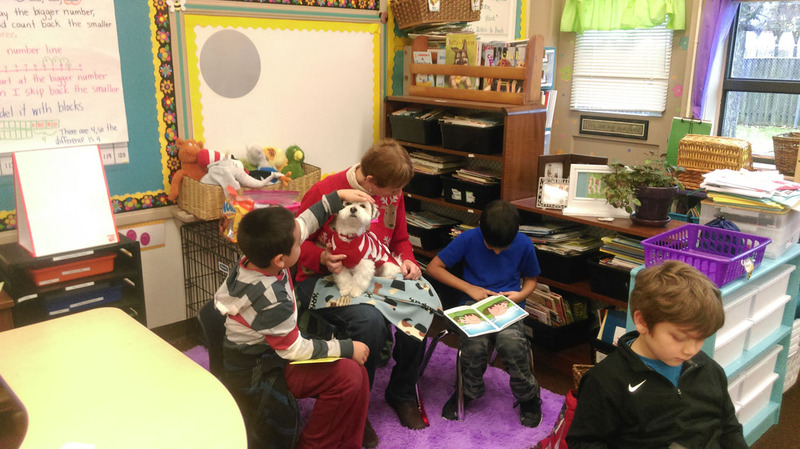 Sunrise students practiced reading skills this week during a special storytime for dogs. 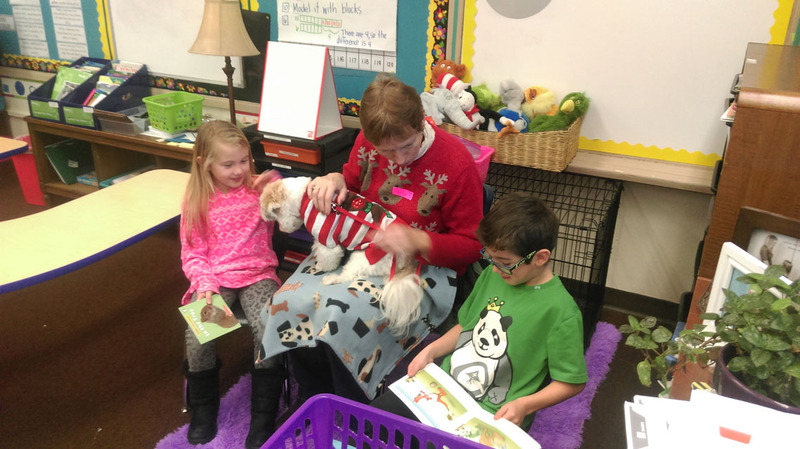 First-grade teacher Mrs. Mole invites has the R.E.A.D. 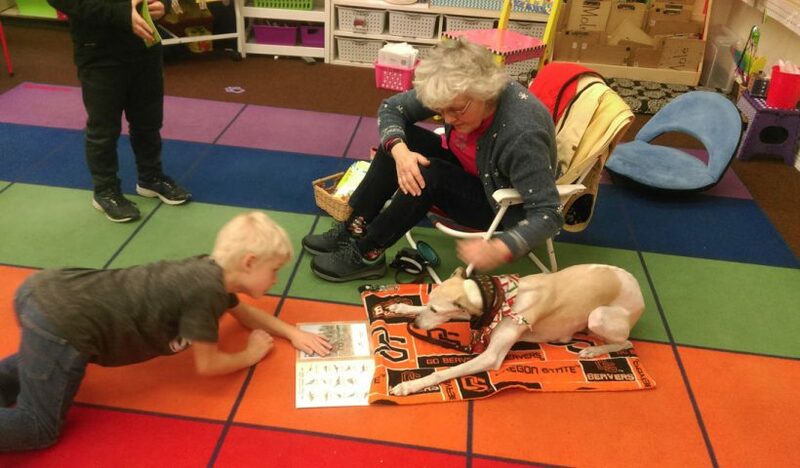 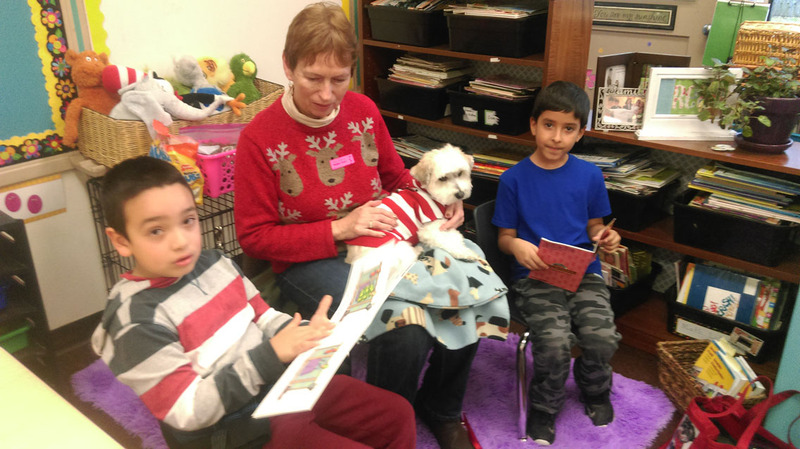 Dog Organization to bring dogs to Sunrise classrooms for reading practice once a month. 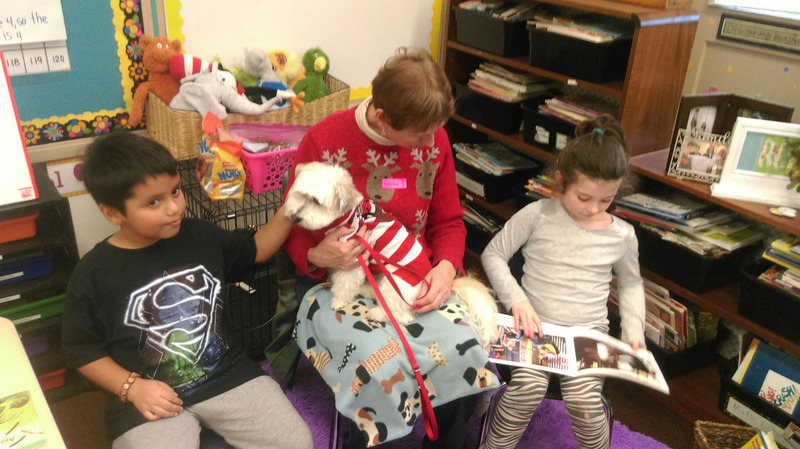 “The kids love it almost as much as the dogs do,” she said.